Short, intensive programs funded by the Wounded Warrior Project are successfully treating PTSD and other psychiatric disorders in post-9/11 service members. A two to three-week intensive PTSD outpatient program deployed at four U.S. academic medical centers has been received positively by post-9/11 veterans and active-duty service members, 91 percent of whom say the program has improved their problems and the way they function in everyday life. The programs described in the Fall 2017 issue of the journal FOCUS, had treated 328 patients at the time of the report -- at Emory Healthcare Veterans Program in Atlanta; the Home Base Program at Massachusetts General Hospital in Boston; Road Home at Rush Medical Center in Chicago; and Operation Mend at the University of California, Los Angeles. An estimated 12 percent of service members returning from missions in Iraq and Afghanistan meet the criteria for post-traumatic stress disorder, and many post-9/11 veterans struggle with depression, substance abuse, sleep disorders and chronic pain as well. Nearly half—133 patients—of the program participants in this study had multiple psychiatric diagnoses. 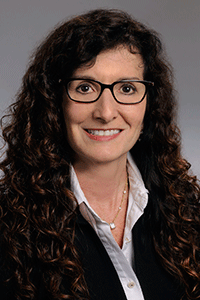 The intensive therapy models in the Warrior Care Network were designed to reach service members who may not have easy access to care or who drop out of regular care for complicated psychiatric diagnoses, according to Emory University Medical School’s Barbara Olasov Rothbaum, Ph.D., a 2012 Distinguished Investigator, and her colleagues. 89 percent of participants said the network programs helped them overcome barriers or obstacles to seeking care for their conditions. In the network, the majority of the participants receive either prolonged exposure therapy or cognitive processing therapy to treat PTSD. A diverse team of caregivers at each site works with individual veterans to provide additional treatments such as sleep and fitness advice, yoga and acupuncture treatments, art therapy and other individual and group options. At some centers, treatment and advice is offered to family members as well. Grantees also involved in this research were: Alyson Kay Zalta, Ph.D., a 2016 Young Investigator; Naomi M. Simon, M.D., M.Sc., a 2006 Young Investigator; and Mark H. Pollack, M.D., a 2003 Independent Investigator.